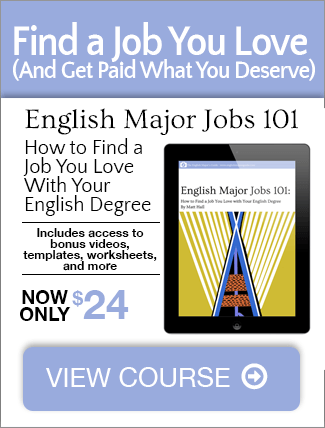 This blog post is an excerpt from English Major Jobs 101. For the full lesson, and to view lots more, get instant access today. When you’re creating a portfolio, you need to write some samples. But choosing topics for your samples is intimidating. “Write whatever you want!” your professors might say. “But what if I don’t know what I want to write?” I would always think. 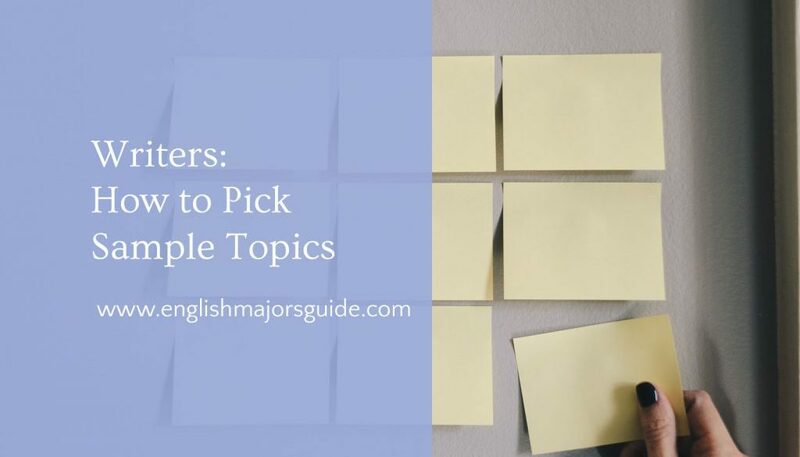 With the explosion of web content, there are now great tools available for anyone looking to plan their next article topic. I’m going to cover two here (which should be more than enough to get you started). Despite the silly name, Buzzsumo is one of the top content-planning tools on the web. Why? Because it can show you exactly what kinds of content/topics/headlines perform well (meaning they get a lot of shares and views). Using it is simple. Say you want to be a health writer. Simple go to www.buzzsumo.com, type “health” in the search bar, and view results. The free plan is pretty limited, but you only need to see 5 or so samples to get ideas. When you see what kinds of articles are performing well, write your own version of them. This isn’t English class, so it’s okay to borrow their ideas for your portfolio. Switch up the content, improve it however you think you should, and throw it in your portfolio. For example, say the top result in health was “How to Make Lavender Lemonade to Get Rid Headaches and Anxiety.” I would write a sample called, “Can Lemonade Cure Headaches? It’s True!”. I’d base my content on the original article, but I’d add some sections or replace some content to give it my own spin. The next tool is basically a headline generator. Simply toss in some nouns, click the button, and get a big pile of ideas. Some will be good. Some will be awful. But you’ll at least have a great start to help you plan some content samples. Like Mos Eisley, Reddit is a hive of scum and villainy. But – like Mos Eisley – it’s a great place to make the right connections. Reddit is my “cheat sheet” when looking for topics on a particular subject. It’s a fast way to see what’s popular (and thus what kinds of articles you’d be hired to write). There are thousands of communities (called “subreddits). In these communities, users submit and vote on content. The most popular content rises to the top. This means you can simply see what content is at the top of a particular subreddit to mine topic ideas. For the example I used, there was a link about burning crayons as makeshift candles. If I wanted to write a sample for a survival blog, I would probably write something like, “3 Reasons to Keep Crayons in Your Survival Kit.” Then I’d use makeshift candles as one of my reasons and find two others. No matter what subject or niche, there’s a subreddit where you can find topic ideas. The last place to look for topic ideas is Google. This gets unwieldy fast, so it’s my last recommendation for a reason. But when used right, it can save you a lot of effort. The reason this method can be challenging is that you have to use search terms to start. But if you’re applying for a specific job or company, this isn’t as difficult. You’ll at least have an idea what kinds of products/services the company offers. Then you can write appropriate samples. When potential employers review your samples. they aren’t trying to see if you’re the best writer ever. They’re looking for a baseline of competence. That means you shouldn’t overthink your samples. Write them, try to do a good job, but don’t take forever on them. Aim for spending about an hour per 500-word article.